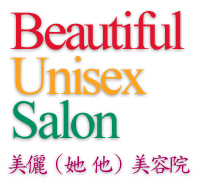 Every customer of Beautiful Unisex Salon ('the Co.') is bound by and must observe the terms and conditions of the Co.
Customers are requested not to give any tips to our staff in order to protect the benefit and interest of all Customers. Customers are required to pay HK$50.00 for replacement of any lost of locker key. Our Company will try our best to appoint the Beautician at your choice, but this cannot be guarantee, your understanding is appreciated. individual Customer and our staff will not be liable by our Company. Customer who bought any Course / Treatment is valid for two years from the date of purchase. Our Company will not responsible for any loss of the Customer's belongings, please ensure your valuables in safe custody. not to make any alteration thereafter. card for instalments on Course or Treatment expenses. Customers should always ensure that a valid receipt is obtained, we will not responsible if no valid receipt is produced for follow up action. future and we will notify customer through "news corner" in our display board. we will not responsible in any event. requested to fully understand before making any commitment. 18. Goods sold can be exchanged within 7 days, no defected item is entertained. 3. commit the crime of stealing, we will call the police for further investigation. In order to protect the Customers' interest, our Company has the right to check all customers' belongings when they leave our Company. Our Company has the absolute discretion to change, amend, revoke or add any rules without prior notice to any customers. B.U.S. has the final authority in the interpretation and settlement of all these rules.